“A rough day at sea is better than any day in the office.” – Sailor’s Code # 75. The After House is a young adult paranormal story by Michael Phillip Cash. After a painful divorce, Remy Galway and her daughter, Olivia, move into a 300-year-old cottage in Cold Spring Harbor. The house has an eerie feeling and Remy believes she’s being watched. Captain Eli Gaspar’s ghost wanders the house, brooding over a woman he cares for, but he can’t recollect some things from his past. He dislikes the new tenants who disturb him, so he goads them to leave with a few of his antics. Remy is disheartened when the house is ransacked, but refuses to let anyone, including a ghost, chase her away. However, the Captain has been around for ages and doesn’t intend to leave either. 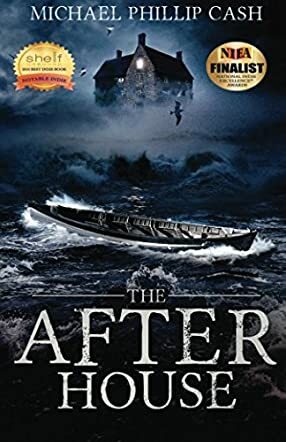 “The man who has experienced shipwreck shudders even at a calm sea.” Captain Eli is one such man who has experienced shipwreck in this very beguiling novel, The After House. Michael Phillip Cash's writing style is unforced, absorbing, and stirring. There are books that remain memorable because of their poignancy. The After House happens to be one of them that I’ll always remember. Even the book’s cover artwork has a haunting effect. The prologue was suspenseful and I had to know what transpired next. Historical information on whaling, which provided numerous products, as well as Cold Spring Harbor, was interesting. I highly recommend Michael Phillip Cash’s novel for a delightful read.